Its amazing how much purpose one line of code can affect your game. I accidentally forgot to add one small line of code in the game and the game hung up. I couldn’t for the life of me figure out what was causing it. I put a bunch of escapes and tried for the life of me to narrow out the bug. Turns out I forgot to escape a switch that handled all my server data so all it did was loop thinking there was a continuous stream of data to be handled. Damn it. The worst part of it all was after I write a fresh piece of code I test it out and see how it plays out. If there’s an error, its normally because of a minor spelling mistake or something that I just plain forgot. In this case it was something rather pivotal. Oops. I worked on Canasta a bit more last night. I was skimming through the old code and had to decipher how I handled key presses and mouse spaces. The old way is terrible. I refined it and made it more dynamic. Now it’ll be way easier to add more functionality to it. 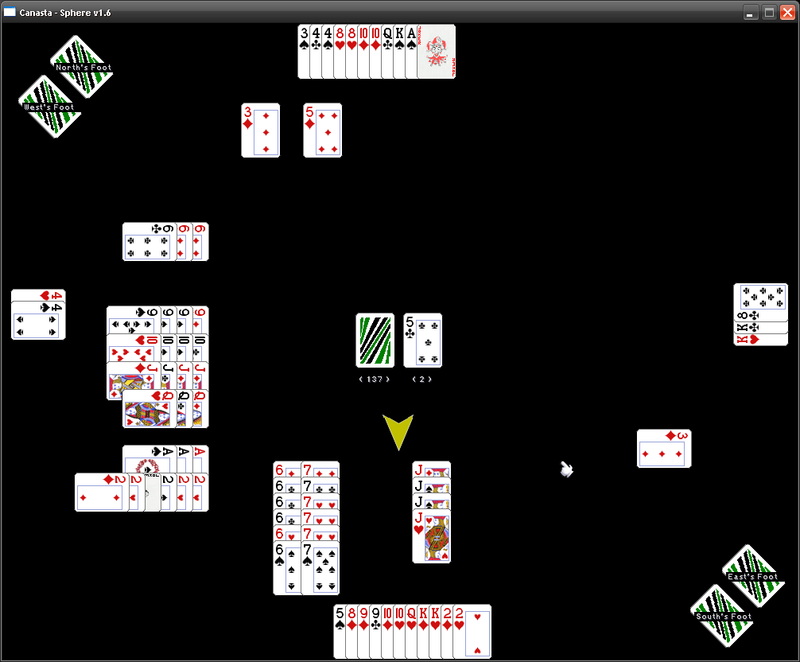 Next plan is to finish a primitive version of mouse-spaces and tackle card animations. Definitely not looking forward to that. I have an idea for computer ai in that regard, but not for the player.